A perfectly ripe avocado is a beautiful thing. 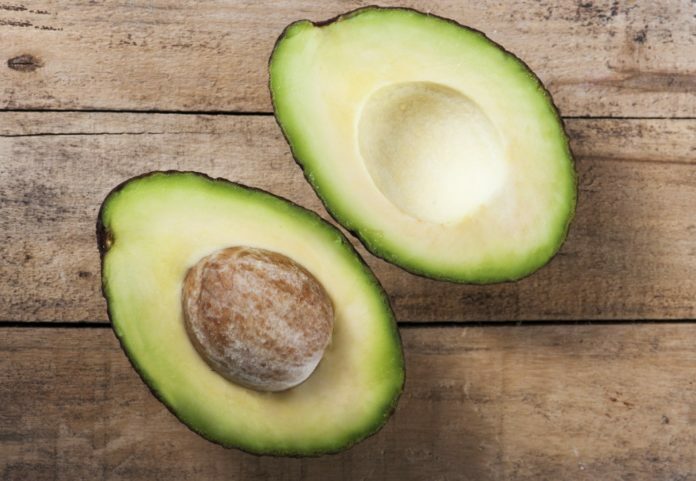 Buy avocados that have black and glossy skin and are slightly tender when you press the base with your thumb. These avocados will be ready to eat that day, or will keep in the refrigerator for up to six days. If the avocado is still just a little green, go ahead and buy it, because it will be perfect for consumption in two or three days. If you want to speed up the process, put it in a paper bag or wrap it in newspaper and leave in a warm spot in the kitchen for 24 hours. As a general rule, you’ll get about one cup of avocado for every average medium (eight-ounce) avocado, says Lara Ferroni, author of “An Avocado a Day” (Sasquatch Books, 2017). To use in baking, she suggests substituting half the traditional fat — like butter — with an equal amount of avocado. If you want to take the rest of the butter out of the recipe, try using coconut oil, which pairs well with avocado. If you do want to try freezing any leftover avocado, Ferroni suggests cutting the avocado into cubes and spreading them out on a wax paper-covered baking sheet. Let them freeze until solid, then store in an airtight container for two or three months. To defrost, place cubes in a bowl of water for five or 10 minutes. Just remember that frozen avocado is not recommended for use in guacamole, but it can be used in smoothies or baked goods.